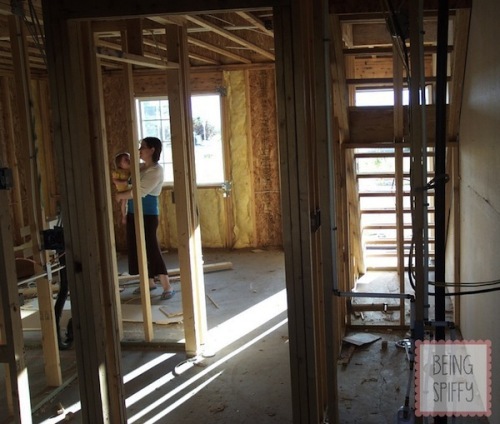 Eight years ago my husband and I took our daughter out for a drive and stumbled across some townhomes under construction. We were renting a duplex at the time and were anxious to stop paying a landlord and start building equity. The thought was frightening since neither of us understood the process of buying a new home. With our lack of knowledge, and unsure that we could afford the mortgage of a new property, we hesitated calling the realtor. After some discussion, my husband and I decided we had nothing to lose so I dialed the number. That phone call altered our lives tremendously. To our surprise, the monthly payment on a NEW townhome would be $100 more than we were paying in rent. That was amazing! Could we really be homeowners? The idea seemed too good to be true. We decided to dive headfirst into the homebuying process to see where it took us. I was so nervous. My parents built their house 16 years before I was born, so I no idea how buying a new home would work. I'd never been a part of the process. I was so relieved at how easy it was. Our realtor took care of 99.9% of the work for us. Between checking completion dates, wrangling carpet and flooring swatches, and handling paperwork that would have confused the most brilliant of us, he was a life saver. In fact the most difficult part of the home buying process was waiting for it to be built! When it came to closing on the home, all parties involved made the experience simple and quick. We had our keys and before we knew it, we were moving in! It was so great being able to unpack, decorate, and make our house a home right away. We didn't have to make repairs or remodel rooms. We were able to trade our to-do list for a want-to-do list. 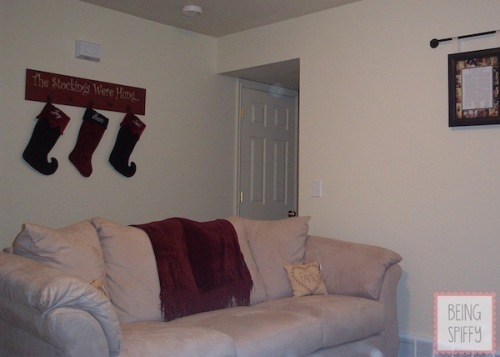 We moved in a couple weeks before Christmas, so the stockings went up and we were set for the holidays! If you are looking into buying a new home, check out BHI's Start Fresh Buy New website. I wish it had been up when we were buying our place. They answer any questions you might have and help throughout the home-buying process. Have you ever purchased a NEW home? Would you do it again?